If you’re looking to find some of the best and most comfortable goose down pillows that you can find, then I’m happy to say that you have come to the right place. Maybe you’ve used goose down pillows before or maybe you’ve just heard good things about them, but whatever the reason is, you’re quickly going to see exactly what makes them great and what you need to do to find the perfect one for you. This review guide will provide you with some great product recommendations to help you find the best pillow for you and it will also provide some helpful tips about what exactly you should be looking for when it comes to a pillow. If you’re looking to find a set of two pillows that you can use together rather than buying pillows separately, then King Size White Goose Feather and Goose Down Pillows – Set of 2 might be one of the best options for you. It comes to you as a set of 2 king size pillows so that you are going to have more than enough pillows for your bed to sleep on at night. When it comes to the actual pillow, these are 100% cotton and stuffed with white goose feathers and white goose down. To break it down more specifically, the pillow is 240 thread count and consists of about 95% goose feather and only about 5% of the goose down. And when it comes to the filling of the feathers and the down, you won’t have to worry about the condition of it because it has been processed with an antibacterial treatment to make sure there are no problems with the inside. The king pillows have a measurement of about 20″ x 36″ and they weight about 39 ounces each. While it may depend on what you want to spend on the pillows, this set of two is definitely one of the better options when it comes to an affordable, yet effective. While the other set of pillows reviewed above was one of the more reasonably priced options out of this entire list of reviews, these pillows are definitely going to be one of the most expensive pillows that you’re going to find on this list. However, despite the high price tag, there are a lot of great things about Royal Hotel’s Down Pillow – 500 Thread Count 100% Cotton that make it well worth the money that you’re going to pay. These pillows are 100% luxury down pillows with a 500 thread count and a 100% cotton cover. Additionally, these pillows have a 750 fill power and a 35-ounce fill. Perhaps one of the best features and one of the reasons why these have become one of the more expensive options is because the filling on the inside consists of 90% down and only 10% feathers. Additionally, they are edged with double silky piping to provide a nice clean finish to the pillows. 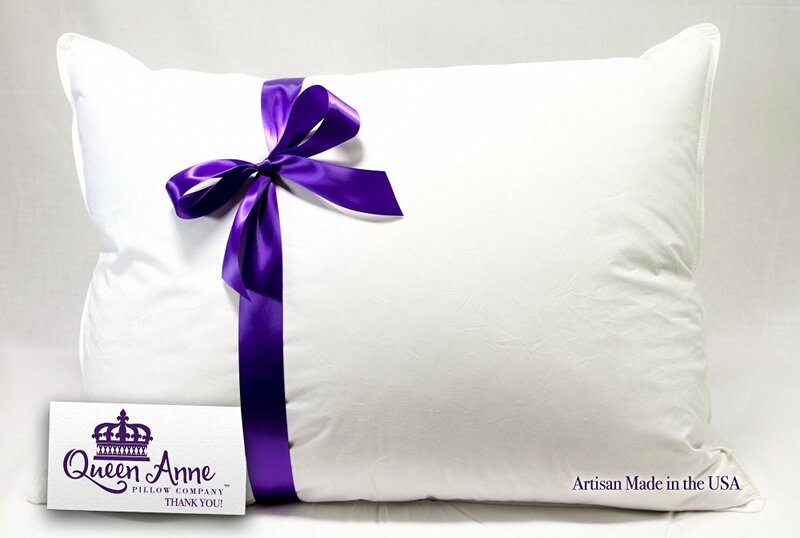 With your purchase, you’re going to get two down pillows that are allergy free, brand new and factory sealed. The king size down pillows measures 20 inches by 36 inches and are dry clean only. Perhaps one of the best deals out of all the pillows that will be reviewed in this post, you will have no problem falling in love with everything this pillow has to offer. Despite the fact that it is one of the lowest prices, it still packs in a ton of different features that you’re going to love to have. You have the option of choosing four different types of firmness when it comes to this pillow so you will have no problem finding the perfect pillow to fit your needs. 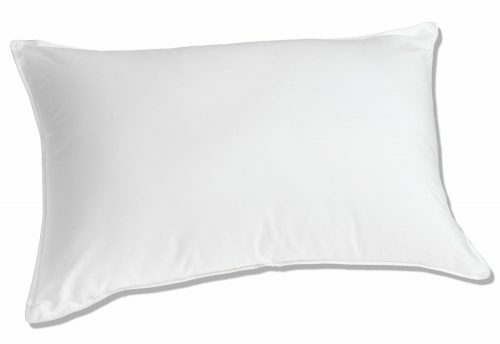 Additionally, this standard sized pillow is filled with 18 ounces of premium quality goose feather and knife edge stitching to give you the premium quality you desire. 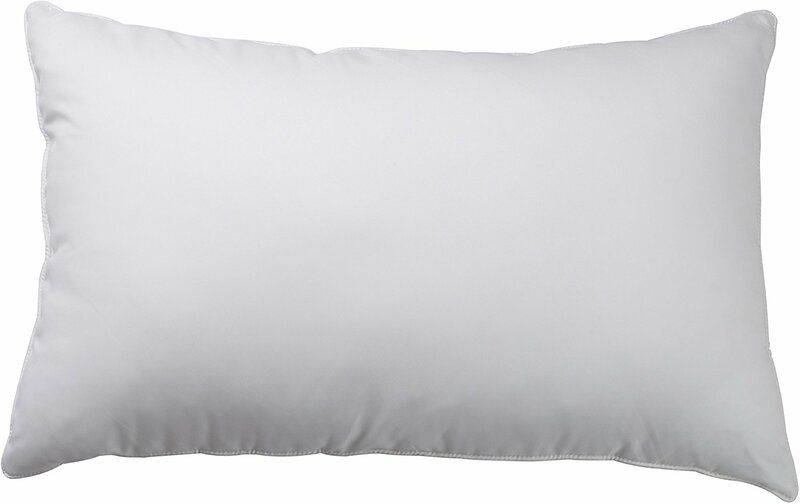 Additionally, Original Soft Feather Pillow Standard Size 20″ X 26″. 220 Thread Count 100% Cotton is perfect for side and back sleepers, so if you happen to fall into that category, then this is going to be the perfect pillow for you. The nicest feature with this pillow lies in the fact that it won’t lose its shape no matter what you do to it. Whether you mash it, smash it or fold it up like crazy, it will return to its normal shape. Once again, this is another expensive pillow out of all the ones on this list but there are still plenty of great features that make it easy to understand why Better Down Premium 100% White Goose Down Firm Pillow is as good as it is. 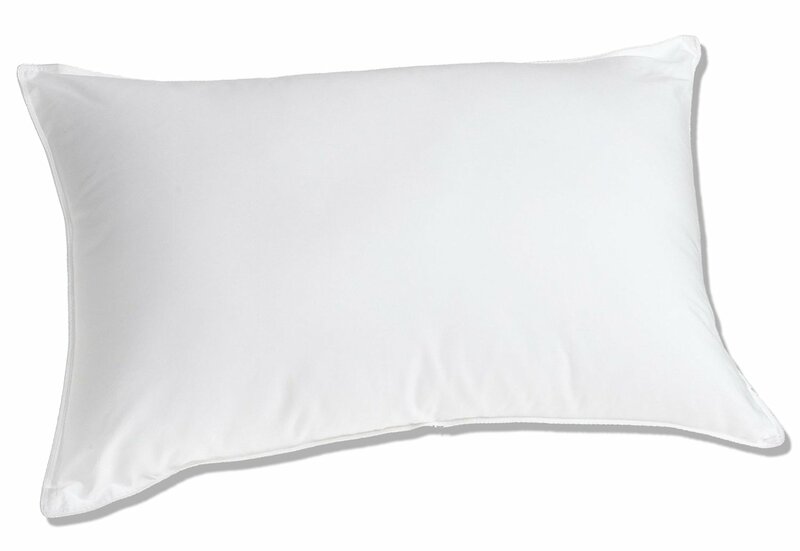 This is a 100% premium white goose down pillow and that is one of the reasons why it is as expensive as it is. The 100% white goose down in the pillow is wonderful and it’s also 550 fill power and completely allergy free to prevent any incidents. Furthermore, it’s 100% cotton and has a 233 thread count covering on it. If you’re the type of person that likes to buy things that are made in the USA, then this is going to be perfect as this is made in the USA by a company known as Continental Bedding. While the price is only available for 1 pillow, there are sets available and you can also buy them in standard, queen or king. Goose Down Pillow – 1200 Thread Count Egyptian Cotton is available in a couple different sizes so that no matter what type of pillow you’re looking for, you’ll be able to find the perfect one for you. While this is another pillow that is on the expensive end of the spectrum when it comes to pillows, you’ll still find great things to like about this one. 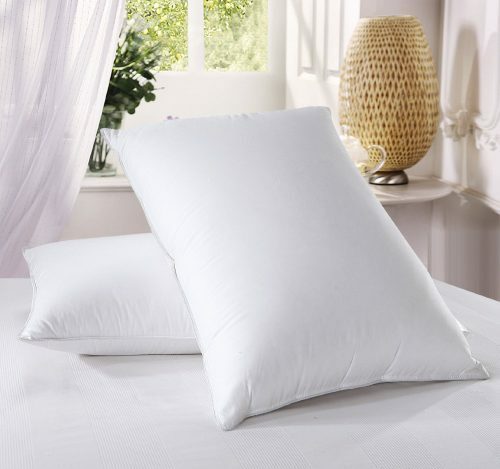 It is 100% cotton and is a 100% luxury down pillow with a 1200 thread count cotton cover. It also has a 750 fill power and a 30-ounce fill, but while it is a luxury pillow, it’s important to note that it is not 100% down but rather 90% down and 10% smaller feather. The edges of this pillow are also lined with a double silky piping to give you a great looking finish. For the price, you’re going to receive a set of two pillows that are allergy free, brand new and factory sealed. These gorgeous pillows have a standard size. If you’re looking for a mid-range priced pillow that isn’t going to be the cheapest pillow in the world but also isn’t going to break the bank, then you might find that this is the pillow you’re going to want to own. 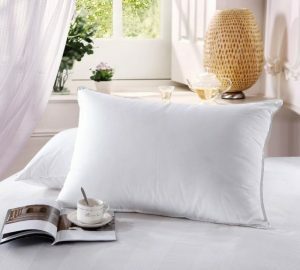 High-Quality White Goose Down Pillow is available in both standard and queen size pillows and it is 100% cotton as well. While a lot of these pillows have high percentages of down in them, this one does have a low percentage because it only has 75% of feather and 25 goose down. So while it is a solid goose down pillow, it does have a lower percentage. The cover on the pillow is a 330 thread count to ensure that not many of the quills on the feathers poke through the case and annoy you. Additionally, the pillow has specifically been cleaned to remove almost all of the allergens that might have been found in the pillow. 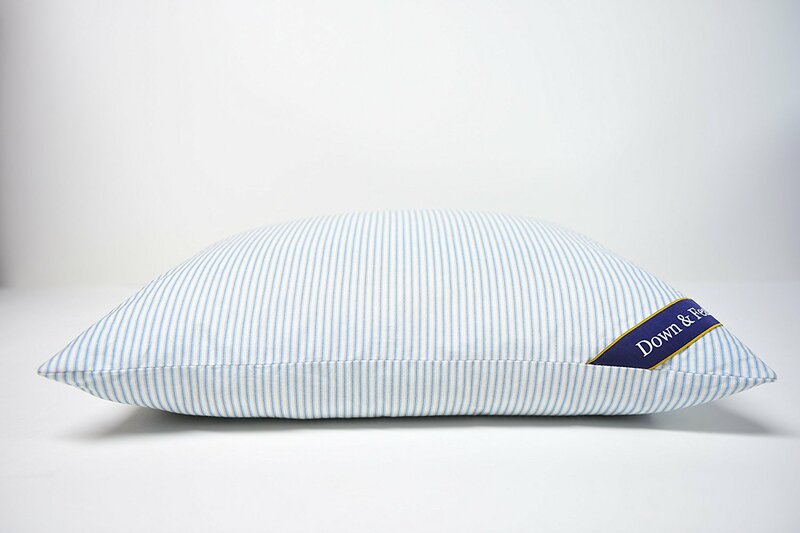 This goose down pillow is perfect for back and side sleepers as it is medium firmness and helps to cushion your head and neck with plenty of support. If you need to clean the pillow, it can easily be machine washed and dried. Top 5 Best Bamboo Pillow Reviews — Which One to Pick? I’m sure you’re sick of me saying this, but this is yet again another pillow that falls on the expensive side of pillows but once again, it does have some great features that you will enjoy having. For example, Luxuredown White Goose Down Pillow has a 330 thread count, 100% cotton sateen pillow cover and it is also made in the USA. According to the actual description, this pillow is classified as a luxurious white goose down pillow. It is a medium firm down pillow which makes it great for back or side sleepers. This pillow has a 650 fill power which means that it is going to give you everything that you want out of a goose down pillow and additionally, the pillow works specifically to support your head and neck to make sure that you have a peaceful sleep every night and you can fall into a deep sleep each and every time you use the pillow. Lastly, this pillow is available in standard, queen or king sizes, so you’ll have no problem getting the size you need. If you want to find as many different options as you can find when it comes to choosing the proper size pillow and the proper firmness, then this is going to be one of the best pillow choices that you can go with. When you combine the different sizes and different fill options, you have eight different pillows that you can choose from to find the perfect option for you. And as an added bonus, you’re going to get a pillow that is completely made in the USA. The Original Queen Anne Pillow – French Goose Down Pillow Luxury Pillow uses a blend that is 80% down and 20% down micro feathers so that you won’t have to worry about any crunchy or prickly feathers that may bother you when you are laying on the pillow. This particular pillow is used on some of the best cruise lines and at some of the finest hotels, so you know you’re getting a quality pillow. In addition, you’re going to get a 30-day money back guarantee, so you can make sure you get the pillow you want to have. If you’re looking to find body pillow rather than all of the different pillows that you have seen so far, this might be the best option for you. The measurements are the same as what you would see in a typical body pillow as it measures 20″ by 60″ to make sure that it is plenty long to provide you with everything that you need. White Goose Feather/Down Body Pillow (Size 20″ x 60″) comes with a white, 230 thread count, 100% cotton cover to provide excellent comfort. 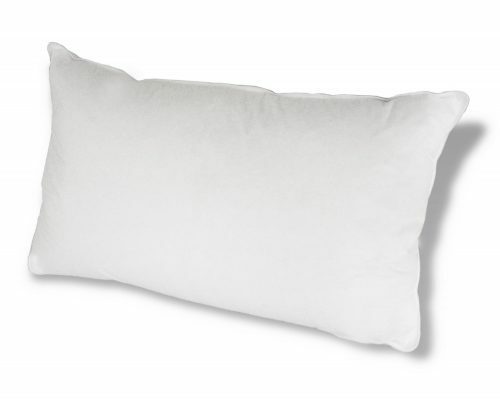 In terms of the fill of this particular pillow, it has one of the lowest goose down percentages out of any of the other pillows as it had only 5% goose down pillow and 95% goose feather filling. As with most other pillows you would find, this pillow is hypoallergenic and all of the contents have been sterilized to make sure it is perfect for you. Unlike some of the other pillows, you only have the one size option to choose from, so you won’t have to worry about making a decision regarding size. If you’re looking for one of the highest thread counts out of any of the pillows that have been reviewed on this post, then you’re going to find that this is going to be one of the best pillows that you’re going to find. 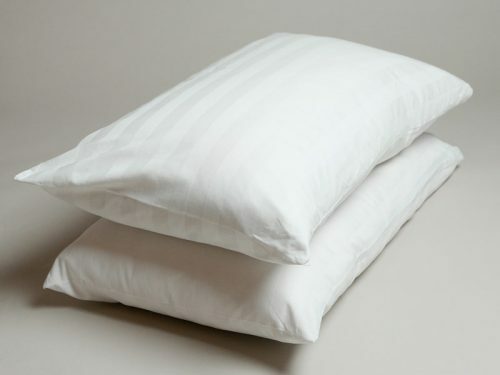 Set of 2 Goose Down Pillow – 600 Thread Count Cotton Cover comes with the highest quality construction to make sure that you enjoy waking up with this pillow every single morning. The 35-ounce fill weight and the 600 thread count helps to provide longevity and luxury each and every night. While the company thinks they fill the pillow with the perfect amount of filling, there are going to be people that feel as if there is too much filling. If that’s the case, the company made sure that you can easily add a few books onto this pillow to make sure you have the perfect fluffed pillow that you want to have. Additionally, you will quickly be able to get rid of the usually terrible smell that accompanies buying a new pillow. Last but not least, you will be getting a money back guarantee to make sure you are happy with it at all times. Feather Pillow or Goose Down Pillow? The first question you’re going to need to ask yourself if whether you should be choosing a feather pillow or a goose down pillow. If you don’t know the difference and what each pillow offers, then I’ll be more than happy to help. Essentially, the feather pillow is made using, as you would expect, the feathers of the geese or duck which is the outside covering of the bird. When it comes to a down pillow, it uses the down, which is the what lies beneath the protective covering on a bird, typically around the belly. The down is light and fluffy and it usually provides a way for the bird to keep warm. This should come as no surprise to you, but there are so many different types of pillows available on the market that you’re probably going to feel overwhelmed when you first step into the store to look at the pillows. When it comes to the major pillow types that you need to be familiar with, there’re about 13 different pillow types you should know about. Essentially, there is body pillow, memory foam, contour pillow, down pillow, feather, buckwheat, latex, polyester, water, microbead, synthetic fiber, cotton, and wool. As you have already been able to tell based on this particular review post, some of the pillows that we recommend the most are the feather and down pillows. Unfortunately, you can probably easily see just how many different pillow types there are and how difficult it might be to buy the right one for you. 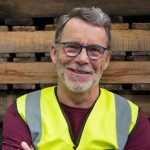 Fortunately, you will have a much easier time by following some of the helpful tips and advice that is provided to you below. Buying a pillow is a very tricky deal because what works amazing for one person might not work for another person. Purchasing a pillow is a very personal experience so there’s really no blanket guideline to help you find the perfect pillow. However, the following are some of the top things that you need to consider when it comes to finding the perfect pillow. This is definitely the most important thing to consider. There are pillows specifically designed for different sleep positions, so make sure that you’re finding a pillow that accommodates the sleeping position you want to sleep in. Your size choices are typically going to boil down to standard, queen, and king. Really the only decision to make here is based on what size bed you have. This helps to ensure that they’re going to fit your bed appropriately. As you’ve seen, there are a lot of different fillers that you can enjoy for your pillow to provide the most comfortable experience possible. As mentioned above, the down pillows or feather pillows are great places to start and provide a great pillow. Once again, this is a personal preference and is going to vary from person to person. There really is no wrong answer here, so just make sure that you’re finding the proper firmness that you want to find. The firmness is also going to give a good indication of how long the pillow should last. Despite all of the different pillows that were reviewed, we have to say that we think the Royal Hotel's Down Pillow is the best one of them all. By looking at the features such as the 500 thread count pillow, the 90% down ratio and the beautiful clean finish on the pillow, there really is no other pillow that offers as much as this one.